This tutorial will walk you through the creation of a sample application that contains a RadCalendar. 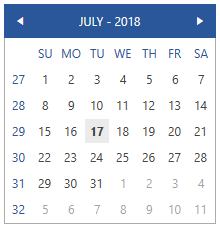 Example 1 demonstrates how you can add a RadCalendar in xaml. 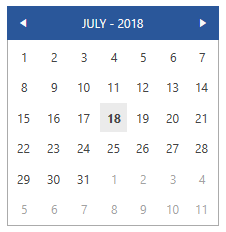 You can control how many months are shown by setting the Columns property of the RadCalendar. Its default value is one and the maximum is four. Example 2 demonstrates how you can achieve that.